The first thing you'll notice about the Composite Blade Leek is…well, the Composite Blade. The wavy copper line you see running through the blade is the brazing that permanently joins the razor-sharp, durable D2 cutting edge to the Sandvik 14C28N spine. The combination of these two steels enables us to give you a blade that not only looks cool, but also provides the best of two steel worlds. 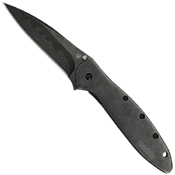 On the edge is a high-carbon, high-chromium D2 steel capable of taking and holding an incredible edge. On the spine is high-performance Sandvik 14C28N. With a Composite Blade, each type of steel is allowed to do what it does best. The Composite Blade Leek shares its 3-inch blade, slim, easy-to-carry design, and versatility with other Leeks. The modified drop-point blade shape makes it a good slicing knife, while the slim tip gives it excellent piercing and detail work capabilities. 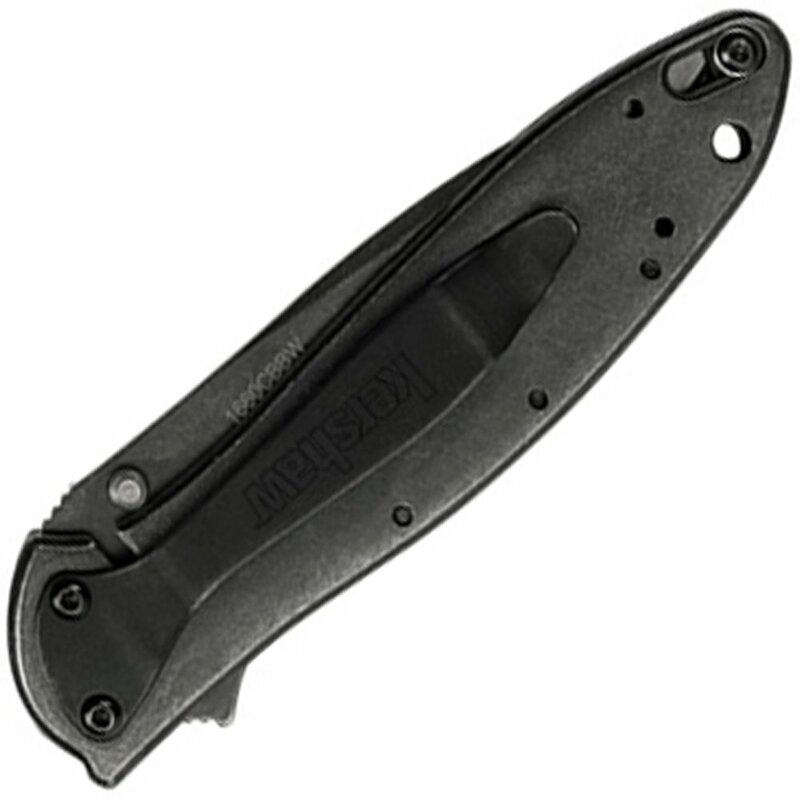 The SpeedSafe assisted opening system makes it easy to open the knife one-handed, whether you're a lefty or a righty. A simple pull back on the ambidextrous blade protrusion or push outward on the thumbstud and the Leek's Composite Blade is ready to go to work. 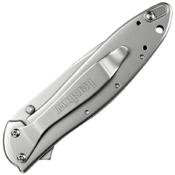 This Leek also features a handle of pure stainless steel. A super-secure frame lock keeps the blade locked open during use and a Tip-Lock slider locks the blade closed when folded. The pocketclip can be configured for tip-up or tip-down carry and the handle is drilled to accept a lanyard.